taken from "THE 100 YEAR HISTORY OF ST. LUKE ROMAN CATHOLIC CHURCH"
If you have information or photographs to contribute to the history of St. Luke Church please contact Mark Schall at markschall@hotmail.com or by phone (570) 398-7763. 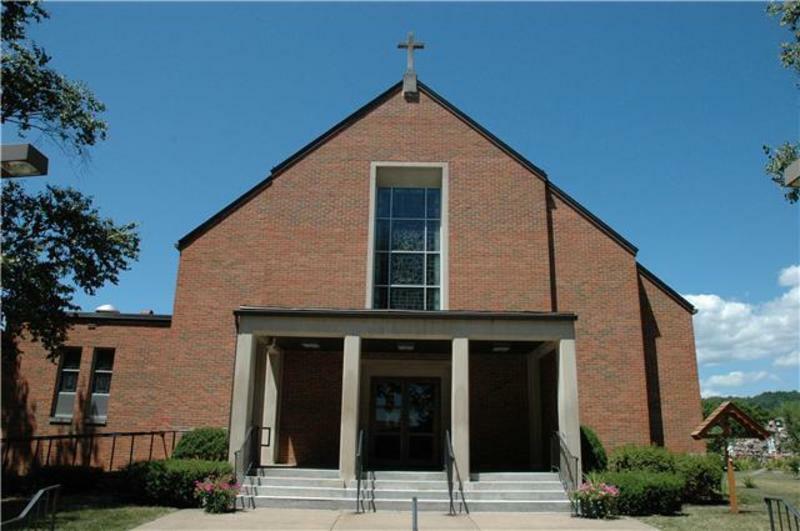 Saint Luke's Catholic Church enjoys a long, rich, and varied history. From its early beginnings as a former mission church to its present-day status as a parish serving 350 families from the Jersey Shore area, the Church of Saint Luke has served the spiritual needs of area Catholics for a century. The earliest record of our church reveals that in 1882 Father Eugene A. Garvey of Williamsport celebrated Mass at the home of John Wright in Antes Fort, PA. For the next several years, Mass continued to be celebrated in private homes in Antes Fort, Cogan Valley, and English Center by various priests from Williamsport. In about 1897, Father James Gilleogly celebrated Mass in one of Jersey Shore's Main Street lodge rooms. It is believed to have been either the Odd Fellows Lodge or the Knights of the Golden Eagle Lodge and Mass continued to be celebrated at this location until 1902. It was at this time that Saint Luke's, a mission of the Annunciation Church of Williamsport, was designated as a separate parish. Saint Luke's was served by the Father Dennis J. Bustin, who resided at the home of P.D. Bricker, then later rented a home on Howard Street in Jersey Shore. Although the records indicated the first Celebration of the Mass on November 21, 1902 by Father Bustin, there is a record prior to that date of the first baptism on August 31, 1902. The first recorded marriage in the parish took place on May 4, 1903. Through the faithful work of Father Bustin, the first church building was constructed in 1904 and on November 26, 1905, the Reverend Michael J. Hoban, D.D., then Bishop of Scranton, administered the Sacrament of Confirmation in Saint Luke's for the first time. A group of 63 men and women received the sacrament of Confirmation at that time. Through the tireless efforts of Father Bustin, the present rectory was built in 1908 and the combined cost of the church and rectory was $20,000. Father Bustin was succeeded by Father Charles J. Manley in 1910. As our second pastor, Father Manley dedicated himself to paying off a large part of the parish debt and made thousands of dollars worth of improvements to the parish property. It was under Father Manley's direction that in 1911 the Altar and Rosary Society was established. 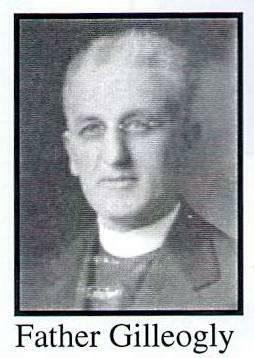 Our third pastor, Father Daniel Connor, served Saint Luke's from 1917 to 1925. 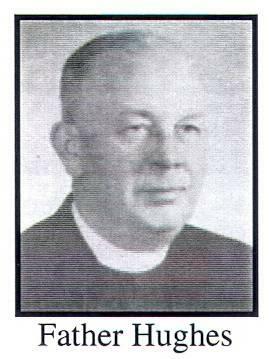 He was followed by Father James Gilpatrick, who remained at St. Luke's for only a few months and was succeeded by Father Michael Gilleogly in 1926. Father Gilleogly was succeeded by Father Peter A. Nolan, who was pastor for the next nine years. In the early days, our church building was actually located on a hill and isolated from the main part of town. Many members walked to church from the downtown area as well as from the Villas Park and Stavertown areas of the community. Some men of the church built a set of steps and placed them on the west side of Mt. Pleasant Avenue. This project created a "short cut", up over the hill through a wooded area, which made the walk shorter and quicker. The path opened through the woods directly in front of the rectory. For many years, Kendall Avenue ended at the church. However, our early church members felt that it was important for the street to proceed directly onto Allegheny Street. To enhance access to the church, church members worked with Mr. Breneman, who owned a business right below the church on Allegheny Street (now Golden Crust Pizza). A dirt lane was created which remained as dirt until the year 2000 when it was paved. Father Nolan traveled to the CC Camps of the Depression, located along the Pine Creek Valley and celebrated Mass with the workers of the camps. He also traveled to Avis to the Martin May Legion Hall to celebrate Mass for Catholic members in that area. 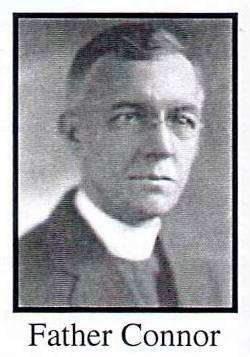 Father Edmund Langan, Ph.D., became the sixth pastor in 1938. Soon after Father Langan became pastor, he brought about the construction of the grotto shrine to Our Lady of Lourdes. The statue of Our Lady was presented by Miss Ruth Marcus in memory of her mother in 1939. To this very day, this beautiful shrine sits at the rear of the parish property between the church and rectory and provides us with an atmosphere conductive to reflection and meditation. In an effort to meet the spiritual needs of our parish community, Father Langan also traveled to Avis to celebrate the Mass. Mrs. Anna Marano offered her home for the celebration of the Mass and provided the people in the Avis area an opportunity to practice their Catholic faith. During this early time of our church community, several of our pastors made arrangements with the Sisters of the Sacred Heart of Mary from Lock Haven and later with the Sisters of Christian Charity from Bastress to come to our church and provide our children with religious education. Members of the church would voluntarily provided transportation for the Sisters back and forth for Sunday School and Bible Schools programs. June 23, 1943, brought Father William Ward as the seventh pastor, During the next five years, the church building received both exterior and interior renovations at a cost of $17,000. While these renovations were being performed, the parishioners of Saint Luke's parish attended Mass at the local Elks building. After completion of the project the Most Reverend Bishop William Hafey rededicated the renovated church on September 7, 1947. 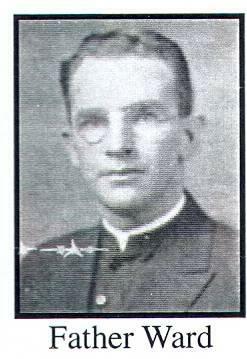 The eighth pastor, Father Andrew I. Maloney, succeeded Father Ward in September, 1948. Again the church building received improvements, particularly to the basement to correct the surface water problems and the installation of a new heating system. Extensive repairs were also made to the rectory, and the parishioners of Saint Luke's could justly be pleased during the church's 50th Anniversary celebration. During Father Maloney's tenure, land was donated to the church for a cemetery It was located on the hill beyond the present Route 220 highway. Unfortunately, the land was never developed and several years later it was sold. In 1956, the Father Gerald M. Hughes became the ninth pastor of the church. During Father Hughes' pastorate, it was determined that the church building was showing its age, and an extensive study was begun to look into the construction of a new church building. Construction of the new church building was begun, at the cost of $450,000. This building project required that the old church building be moved from its original location to a plot of land just south of the property. This enabled the new church building to be constructed at it’s present location and upon completion, the building was formally dedicated by the Most Reverend J. Carroll McCormick, D.D., Bishop of Scranton, on Sunday, June 8, 1969. Unfortunately, Father Gerald Hughes was transferred before the completion of the new church. The tenth pastor, Father Martin Dacey, proceeded with the task to oversee the completion of the new church building. For a short time the old church building remained and was used as a Youth Center. It was named "The Epitome" but was eventually tom down to allow for parking. An additional lot was purchased at that time, on Kerr Avenue, with the intention of a site for a future school. It was in 1976 that Father Dacey coordinated the celebration of the Parish's 75th Anniversary. Father Dacey remained as pastor until 1979 and worked diligently at paying the debt of the new church. 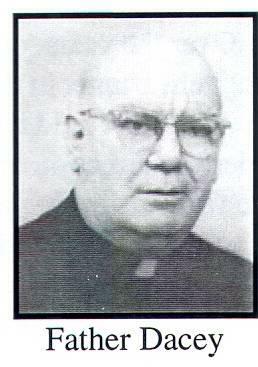 Father Dacey was replaced by Father Leo Cummings, and after his short stay the Father Carmen D'Amico served as pastor from 1980 to 1983. Father D'Amico directed the return of the religious statues, which were part of the old church interior. These statues were integrated into the modem motif of the new church Sanctuary. 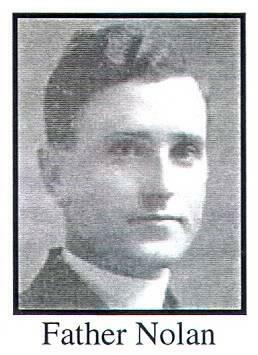 Father D' Amico also trained Mr. Leon Brumley to become the very first Eucharistic Minister at St. Lukes. The Father Louis Grippe became the thirteenth pastor and saw to making further improvements to the rectory and the parish property. Under Father Grippe's direction, the interior of the rectory was remodeled with new furniture, carpet, drapes, paint and wallpaper. Father Grippe encouraged and supported our parish's first female Eucharistic Minister Josephine Arduini and Adrienne Gnerre and it was under Father Grippe's direction our parish initiated our annual Parish Family Picnic and also day trips to Knoble's Amusement Park and Dorney Park for the youth of the parish. 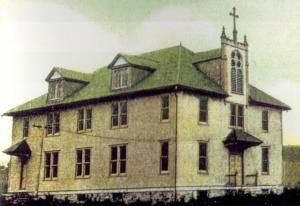 From 1986 to 1989, the parish was served by Father George Jeffrey and Father Charles Fantaskey. In 1989 Father Joseph Manarchuck became the pastor of St. Luke’s. Under his direction, the parish community embraced a "Self-Study" project and continued to modernize both the church building and rectory. Several parish committees were established to enable our members to share their gifts and talents in an effort to help us grow in faith and understanding in our role in the Diocese of Scranton and the practice of our religion. They were Finance Committee, Liturgy Committee, Parish Council, and Youth Group to name a few. A Folk Group Choir was established and a keyboard was donated by the Nagle Family. A piano was donated by the youth of the parish in memory of Barbara Schall, a long time musician and very active and faithful worker in our church. A Travel Club was started. The first trip was to the Library of Congress in Washington, D.C. to view a very special exhibit of rare Vatican documents. The Church Choir expanded and new robes were purchased with the help of the John Buttorff Family. 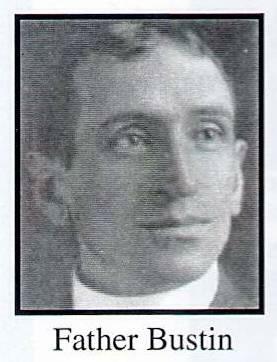 Father Manarchuck installed the first female altar servers. He also directed the addition of new carpeting chair, tables, and Paschal Candle Stand in the sanctuary all donated by Rosanna Egan, John Catherine and the Holy Name Society. Both buildings, church and rectory became more energy-efficient, and Father John Lambert, who followed Father Manarchuck, was instrumental in replacing both the furnaces. Additional liturgical changes were implemented by Father Lambert nder his leadership, the parish office was ushered into the computer age and Father Lambert hosted the Ecumencial programs held at our church. The beautiful new stone marker was placed in front of the church and donated by the Pagnotto Family. Many interior refinements were made; the baptismal font was relocated, the cross was hung over the altar, and the placement of the statues were all done in an effort to create a stronger visual expression of our faith community. The seventeenth pastor Father Andrew S. Hvozdovic, was assigned to the Church of Saint Luke on July 1, 1997. Immediately, plans were made to celebrate the 95th anniversary of the establishment of Saint Luke's, and Father Hvozdovic responded by overseeing both cosmetic and functional improvements. The interiors of both the church and the rectory were painted, and a new church organ was purchased to replace the aging organ of thirty years. Additional improvements were made to the front of the church with new outside lighting, and outer improvements were made to the rectory porch and steps. More recently a new roof was placed on the rectory. A new bell system was installed to replace the old daytime that had not played for many years. This was made possible through a gift from the First Catholic Slovak Ladies Association and The Slovak Catholic Sokol Fraternal Societies. With this kind gift, our entire community is able to enjoy the beautiful melodies played with each passing hour. Ceiling fans were installed in the church to allow for better circulation of both warm and cool air and the social hall was made handicap accessible with the addition of a chair lift. The Grotto behind the church has been enhanced with additional landscaping. Father Hvozdovic ushered in the celebration of the Great Jubilee 2000 New Year with a very special midnight Benediction and celebration. St. Lukes' became an active participant in the Lenten "Road to the Resurrection" program. This program provides spiritual preparation, for Easter, to the members of the Catholic churches in the Williamsport area. Over the years, our parish has hosted many dinners and festivals. The most noted: Fifty four years serving the Spaghetti Dinner in the spring and 32 years serving the Pork and Sauerkraut Dinner in the fall. Various priests over the years have held festivals in the summer on the lawn and parking lot. Back in the 1940's, the Jersey Shore Band, under the direction of Mr. Frank Schoendorfer presented a concert on the lawn between the church and rectory. The festivals in the past featured a Chicken Bar-B-Que, which we continue to this day in the month of September and our Ash Wednesday Soup dinner has expanded to a Lenten Fish Dinner each year. The Church of St. Luke celebrated it's 100th Anniversary on Sunday, April 21, 2002 with a Mass of Thanksgiving. The Most Reverend James Timlin, D.D. Bishop of Scranton will served as celebrant. The Reverend John Lambert served as the homilist, Following the Mass, there was a gala reception in the lower church hall. Many additional celebrations are being planned throughout the year such as a pilgrimage to Canada and a pilgrimage to Rome, picnic and social and monthly Adoration of the Blessed Sacrament.